Your Muslim/Jewish/Humanitarian friend on Facebook vows to continue sharing and liking conflict related articles through the end of the week. Facebook, CA – Failing to see any resolution in the Middle East conflict, your Muslim, Jewish, and Humanitarian friends (and any derivative thereof) on Facebook warn of the continued sharing and liking of any news story or content pertaining to the escalating crisis. The three demographic groups continued their bombardment of videos, articles and politically driven memes in an effort to raise your awareness on a topic you may or may not know enough about. Even if you know enough about it, the groups admit that you may not share their perspective, and are therefore complicit in general ignorance. Thirty-two-year-old Sean Muller complains that for the past two weeks his newsfeed on Twitter and Facebook is full of content that’s either for or against the siege on Gaza. Many individuals outside of the three demographics claim that they’re caught in the content cross-fire, and desperately call on Facebook admins to intervene. 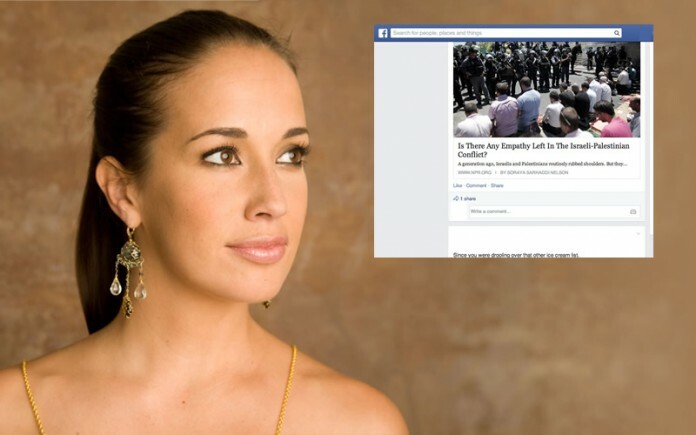 U.S. Resident and Israeli supporter, Irene Berkowitz warns of an extended campaign of sharing and liking pictures of soldiers from the Israel Defense Force as well as making sure she reiterates that she “Stands with Israel.” Asked if she felt that her consistent likes and shares are disrupting life for her social friends, she claims her method of ‘post-knocking’ is moral. Muller, who is Berkowitz friend and is apathetic to the current crisis complains that Berkowitz’s warnings are unrealistic. Abdullah Hasan has also continued his campaign of sharing, and represents the other side of the conflict. Naomi Wolf and Jewish Voice for Peace have also declared that they will continue their sharing operations until the mission is complete. Now with a cease fire in place that is as fragile as the sentiments of those that push its awareness, observers worry about the short and long-terms repercussions amongst social media circles.